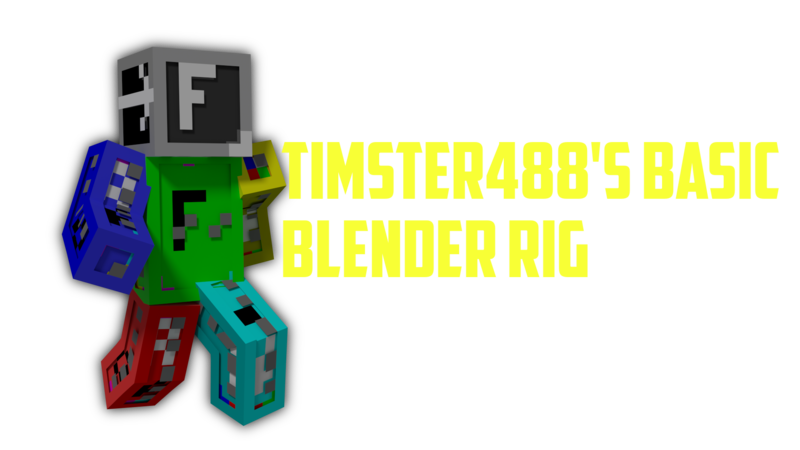 Since I recently hit 500 subscribers on my youtube channel, I'm releasing my rig for Blender, It's nothing special but some people where asking for it :P.
So its a very basic rig, so theirs not as much features but it is very easy to use. How did you get sharp bends? I've tried before but I couldn't figure out how. plz help! how to change the skin? how do you put your own skin on it? off topic: is my pic weird or what? How do you add your own skin to it? This rig is super easy to use! Thanks for sharing this with us, it is the easiest to skin I have found so far. Note to people having trouble: In the top right (with the default Blender layout anyways) where all the objects in you scene are listed you will find one called charArmature, make the window wider and select the body part sub-objects (they are orange triangle icons to the right) and change the used texture in there. not working got skype maybe u can show me? Yeah how exactly are we going to change the used texture? <<< THIS IS MY ACHIEVEMENT! Select any body part from the charArmature group and then open up the Texture tab to the right (it's along with modifiers and materials). Then change any window (I'd change the Timeline in this case (default Blender layout recommended, again)) into the UV/Image Editor. Select the vertices you want to change the texture inside of (just use ctrl+A in Edit mode, not Object mode) and press U, choose any unwrap mode (personal preference must be developed rather than my advice on this) and then select your texture from the dropdown(or up in this case) on the bottom of the UV/Image Editor. Sorry for the long, confusing, wall of text. It's really hard to describe. Just do whatever any tutorial you might find on, say, Youtube says but select the limbs via the charArmature group. It'd really be nice if there was, say, a way one could learn how to do this themselves since tutorials on this topic are seemingly obsolete. Can I edit this for my own rig plz?